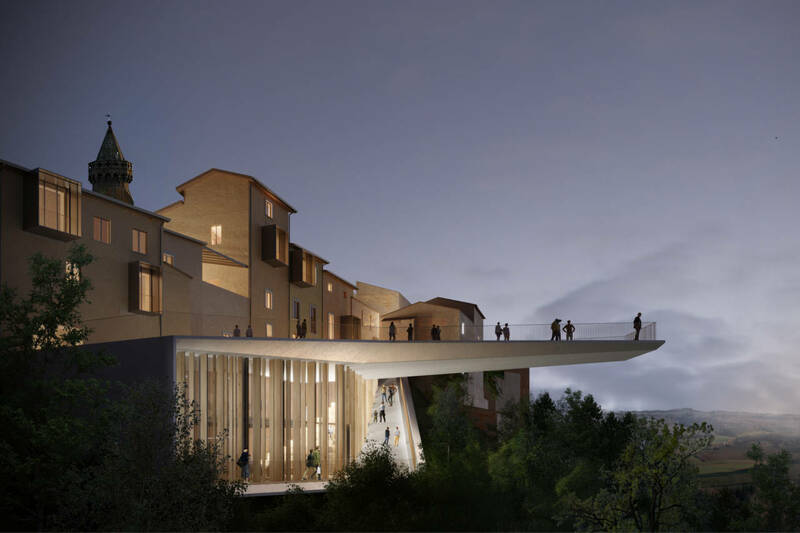 The new Campus Kid school complex is located in an area on the eastern border of the Municipality of San Lazzaro di Savena, at the foothill of the Appennine. Its northwest location makes it an important connection between the city of San Lazzaro and the surrounding area. 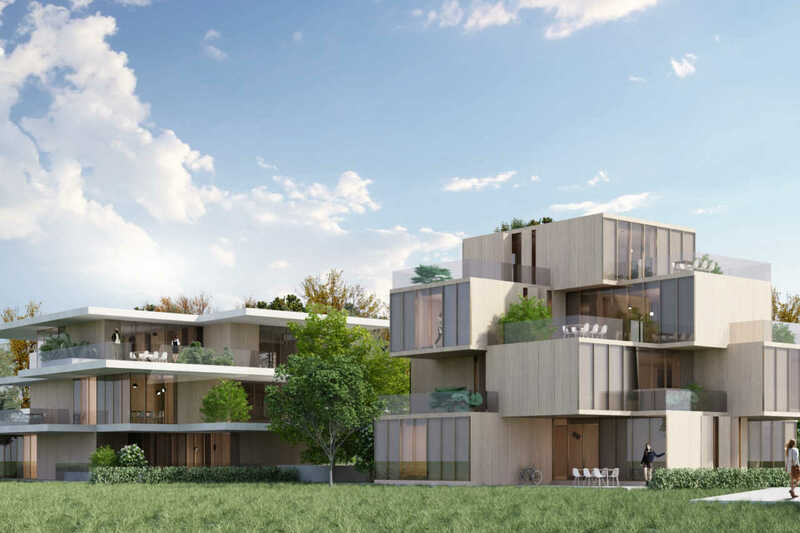 The project for the new complex gives an answer to the fragmentation of the area in which it is placed, characterized by the presence of different types of services and structures. The school building wants to create a unitary complex (schools, gym, auditorium) through a valuable architecture. A building in which the architecture integrates the mechanical, structural and technological components, and which strategically responds to the redevelopment and construction in sequential phases. 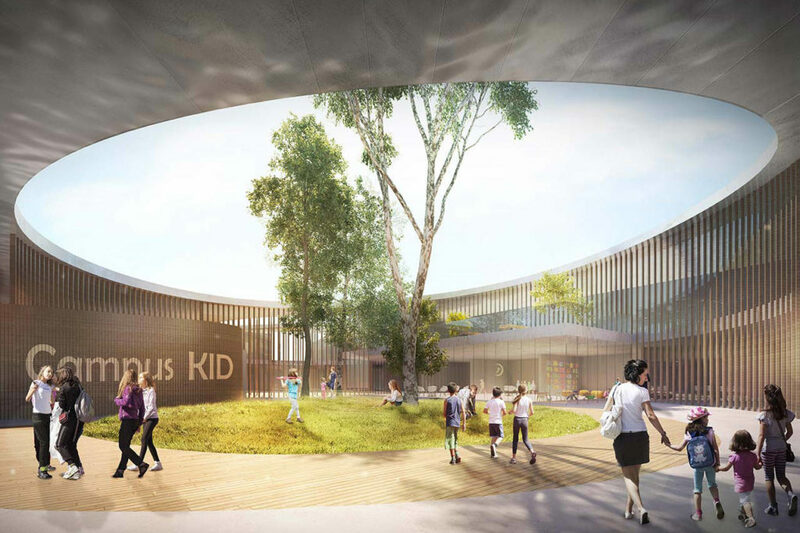 Light, colors, dynamic and flexible spaces, courtyards and gardens, the contact with nature: these are the ingredients for an ideal comfort environment where young kids but also middle school children can grow both intellectually and physically. 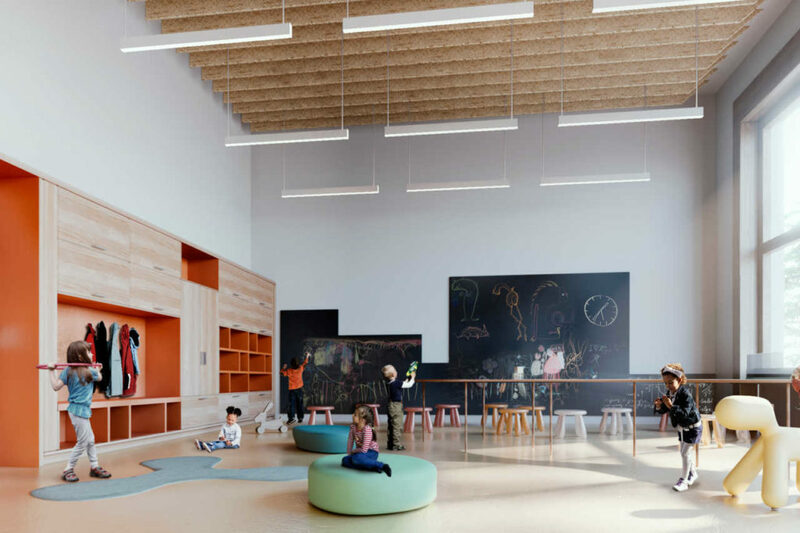 The spatial distribution generates a series of space and opportunities where interior and exterior, built and natural, solid and void are thought as flexible and perfectly integrated, both in classrooms and in connective and collective spaces. The two school buildings create "educating" spaces where the child is guided on his personal path of growth from primary to middle school. 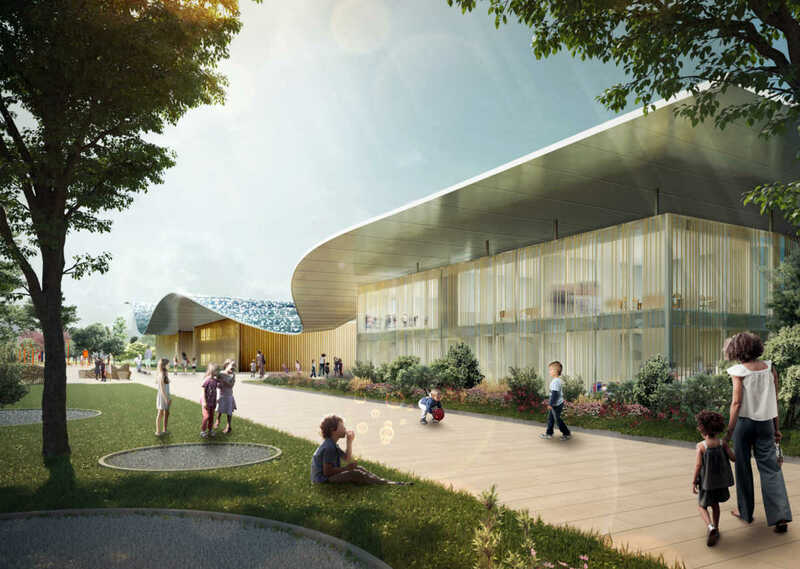 The distribution system does not include the traditional “corridors”, but inclusive and flexible spaces, thoroughly integrated with the rooms for normal and special education, as well as with shared areas and those at the service of the community. The campus becomes a socio-cultural tool, where the architecture itself becomes a device for communicating and spread the knowledge for those who use it. Team: Mario Cucinella, Luca Sandri with Martina Ruini, Maria Beccaria, Valerio Vincioni, Laura La Mendola, Maria Pazzaglia, Lorenzo Sannelli.